Just for a moment, imagine an alternate reality in which Mizuno running shoes do not have a Wave plate. What would that world look like? For starters, the midsole will need a compelling replacement for the Wave system. A cushioning material which replicates the trademark snap of the Wave plate. And a new upper design to go with it, of course. In real life, that is a very hard thing to do. 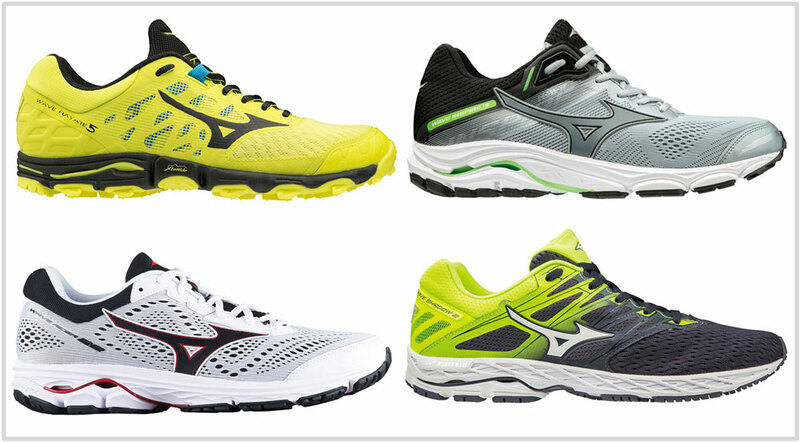 The Wave plate currently defines Mizuno; unlike other brands, there is no fallback. Take the rigid plate out of the midsole and the Mizuno-ness is lost. Here’s a good example – would you rather have the Wave Sonic or the Ekiden as a racing shoe? Yup – we thought so. So the best approach for Mizuno is the safest one. Keep the Wave plate and make small annual improvements. So far, Mizuno has done a great job with that. You’ll be hard-pressed to tell major differences in performance between the Wave Rider 17 and the 22 – that’s how consistent Mizuno has been. We also think that Mizuno takes the consistency thing too seriously. Running shoes like the Prophecy and Creation still exist; those models are from the same high-school yearbook as the adidas Megabounce and the Nike Shox. In a way, Mizuno is the Japanese version of Brooks. The brand has a small assortment of running shoe franchises which have been around for at least a decade. The names roll off the tongue easily – the Wave Rider, the Inspire, Creation, and the rest. The staples are what most of this guide is about. You won’t see the Prophecy or Creation here. Though we understand that there are customers for those models – the same way there’s a market for the Nike Air Max 720 or the hideous Vapormax. But these are expensive shoes. The Prophecy 8 retails at $240 (yikes!) and the Creation 20 at $170. We don’t need to lay it out that money is better spent elsewhere. You can, however, opt for the Waveknit version of the Rider 22 (Waveknit R2) with a $10 up-charge and a snugger fit. The key thing to remember when going through this guide is that ‘support’ and ‘neutral’ tags aren’t the same as other brands. Mizuno hasn’t used a medial post in over a decade so categorization is determined by the design variation of the Wave plate. The Inspire is supposedly a ‘support’ shoe because of the Wave plate’s more rigid structure on the medial side. While that is true for the Inspire, even the Rider 22 has a supportive medial Wave plate. In short, when it comes to Mizuno, ’support’ and ‘neutral’ aren’t binary choices. You can trade one for another and be none the worse for it. The only exception is the Wave Horizon 3 which has a much harder Wave molding on the inside. 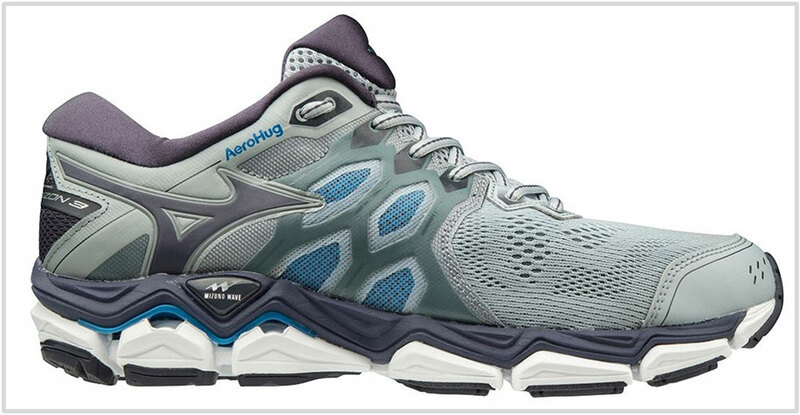 The Wave Sky replaces the Enigma as Mizuno’s premium neutral cushioning trainer. 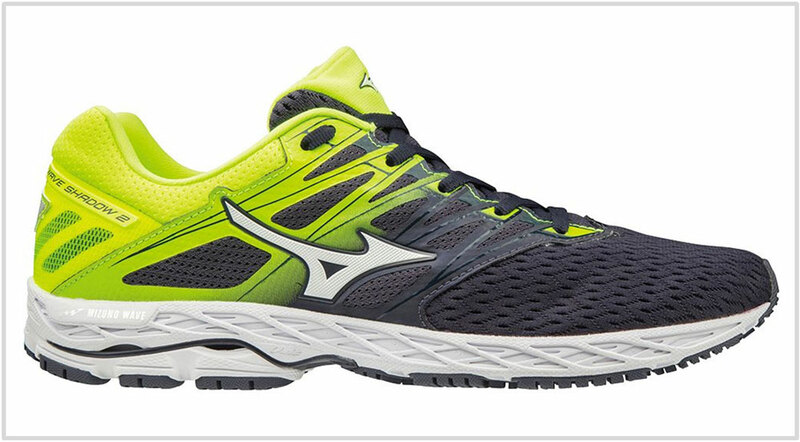 We also view the Wave Sky 2 as a less aggressive alternative to the Wave Horizon 3 – Mizuno’s top-of-the-line stability shoe. The Sky is classified as neutral, but it has a supportive ride. The Wave plate is designed to be more supportive on the inner side than it is on the other side. On the medial side, the Wave plate is 3/4th of midsole length. On the lateral side, the Wave plate is present only under the rearfoot. The thick foam stacks provide plenty of non-mushy cushioning, and the thick insole feels plush underfoot. The upper uses soft-touch materials, so the Wave Sky has a smooth-fitting and comfortable interior environment. And why should you not get the Prophecy or the Creation instead? That’s a good question. Both the Prophecy and Creation have less foam and more Wave plate. Though more Wave and less foam add springy responsiveness, it increases firmness in a ride character which is an acquired taste. Due to its foam midsole, it is far more likely that runners will find the Wave Sky more comfortable than the Prophecy and the Creation. The Sky has a better upper too. The Wave Rider 22 has been Mizuno’s neutral running workhorse for two decades now and offers an optimal blend of cushioning and support. The foam midsole delivers padding while the sandwiched Wave plate makes the ride firm and supportive. While the upper isn’t the epitome of plushness, it is spacious, breathable, and comfortable. As mentioned in the intro, there’s a knit version (Waveknit R2) for $10 more. If either the Wave Rider or the Inspire feel too much of a shoe, get the lighter Shadow. It’s an excellent Mizuno for fast-training runs and half marathons. The Shadow is a relatively new shoe (in its 2nd year) but think of it as a cross between the Mizuno Sayonara and the Hitogami. The snug and conforming upper fit feels just right for speed workouts, and the midsole provides adequate insulation without slowing you down. If the Wave Sky is Mizuno’s top-end neutral shoe, the Horizon 3 is its stability counterpart. But unlike in the case of the Wave Rider and Inspire, the Horizon’s Wave plate is molded solid on the inner side. This does make the Horizon noticeably firmer on the medial side than the Sky 2. Its $160 retail price makes it an expensive shoe. The Horizon serves up mid-2000’s nostalgia in the form of a plush upper and a cushy Wave-plated midsole. There’s not a lot you can do with the Horizon; this is a 12-ounce shoe after all. As long as you’re running slow and not going far, the Horizon gets the job done. The Inspire 15 is in the same weight class as the Wave Rider, except that it’s categorized as a support shoe. Regardless, both shoes have a supportive and cushioned ride with a spacious upper. The Inspire 15 has a more aggressive Wave plate design on the inner midsole. This limits the flexing motion of the Wave plate as compared to the Rider 22. It doesn’t matter if you’re ‘neutral’ or ‘stability,’ the Inspire 15 will work for both use-cases. Most trail running shoes have a general purpose intent. You know, like offering the combination of cushioning and outdoor-oriented elements which make trail running comfortable yet protective. But the Hayate isn’t your typical trail shoe. It is a ‘fast’ trail shoe designed for speed runs; the low-profile midsole provides a quick touch-and-go. Protecting your foot from the trail is a forefoot rock-plate under a sticky Michelin rubber outsole. Mizuno has kept the sole unit same for the past three versions. This is 2019, so the Hayate 5’s tight upper gets more of molded overlays and less stitching. Do you own any of these shoes? Improve this guide by sharing your insights – submit a review here.